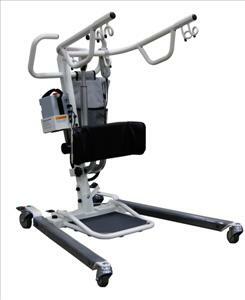 Battery-Powered Stand Assist is appropriate for partial weight-bearing patients. Removable foot platform for gait training. Battery-powered stand assists available in 400 and 600 lb (181 and 272kg) versions. Controls are easy-to-operate.